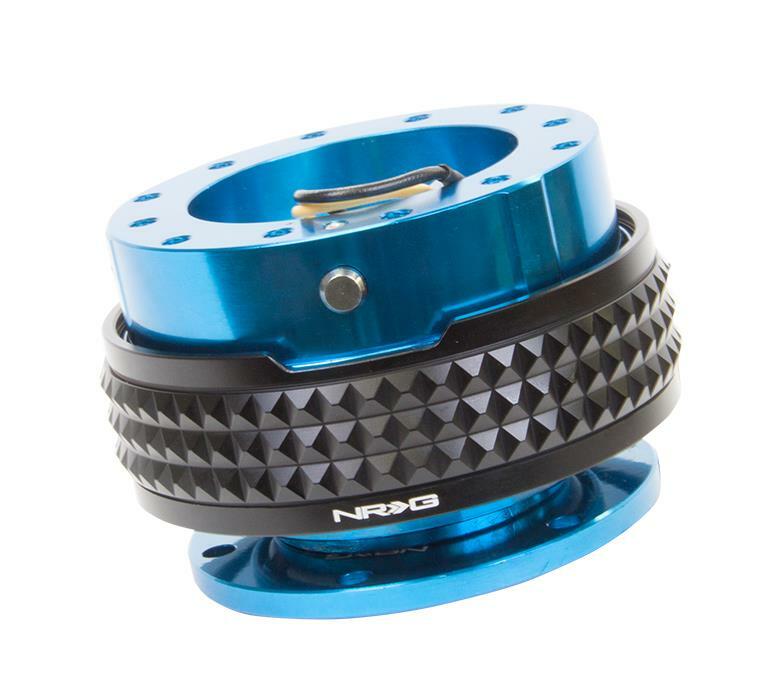 NRG Quick Release Kit - Gen 2.1 UNIVERSAL - Dezod Motorsports Inc - Home of the automotive performance enthusiast since 2002. This Gen 2.1 Quick Release has all the benefits of the Generation 2.0. The spring mechanism is further assisted by the addition of a Studded Pyramid Body ring that makes it easier to release. This addition increases applied leverage.